Recently we’ve finally had enough snow to justify using the snow thrower. On a particularly cold morning I dug out the machine from a snow bank and fired it up. With the choke closed and a rich fuel mixture coming from the carb it seemed to be running at a pretty high speed – but it had been a whole summer. 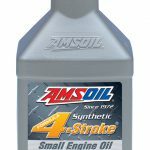 After letting the machine run for a minute or two when I opened the choke the engine raced into over revs – pretty much redlining right away on a cold engine. A quick google search showed Tecumseh engines seem to be well known for spitting rods in these conditions. 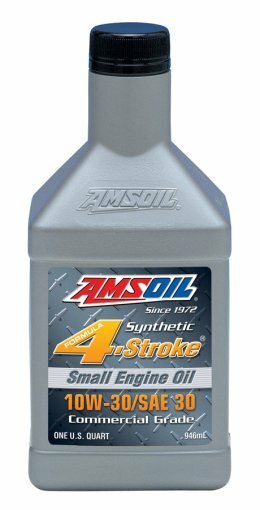 The Formula 4-Stroke 10W-30/SAE 30 Small Engine Oil (ASE) oil I had installed in the sump let the engine scream until I realized what was going on and closed the choke again bringing the engine revolutions back down to a normal level. I was stumped as to what the problem might be. Reset the adjustable fuel screw on the carb – fully closed, then 2 whole turns out is the default setting – and let the snow blower heat up with the choke on until it stalled. Started the engine up again and it was back to the normal puttering sound with the choke on. I figure the governor arm had frozen wide open and was causing the engine to race. Put a full tank of fuel through in 3 hours of snow blowing that day without any more problems. I was glad to have had a quality oil in the sump – just in case things like this happen. 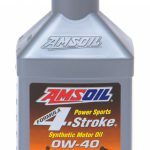 If you need a lower pour point for cold start ups use AMSOIL Formula 4-Stroke® 0W-40 Synthetic Motor Oil (AFF) which is an all climate/all season oil that replaces 0W-30, 0W-40, 5W-30, 10W-30 and 10W-40 oils for ATVs, UTVs, snowmobiles and other power sports equipment with a pour point of -51°C.